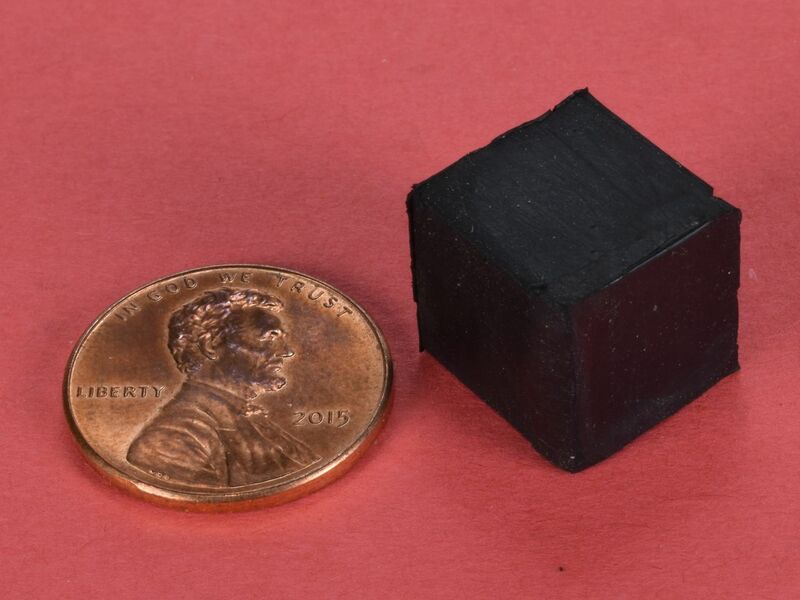 These cubes are coated with a layer of black rubber that is similar to tire rubber. 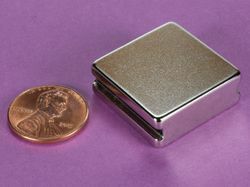 This coating makes these magnets very water resistant and virtually indestructible. 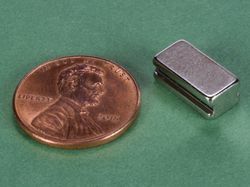 They can be slammed together with no threat of damage to the magnets. The rubber coating is very grippy, which is great when sliding is a problem, like we describe in our Leverage & Friction article. 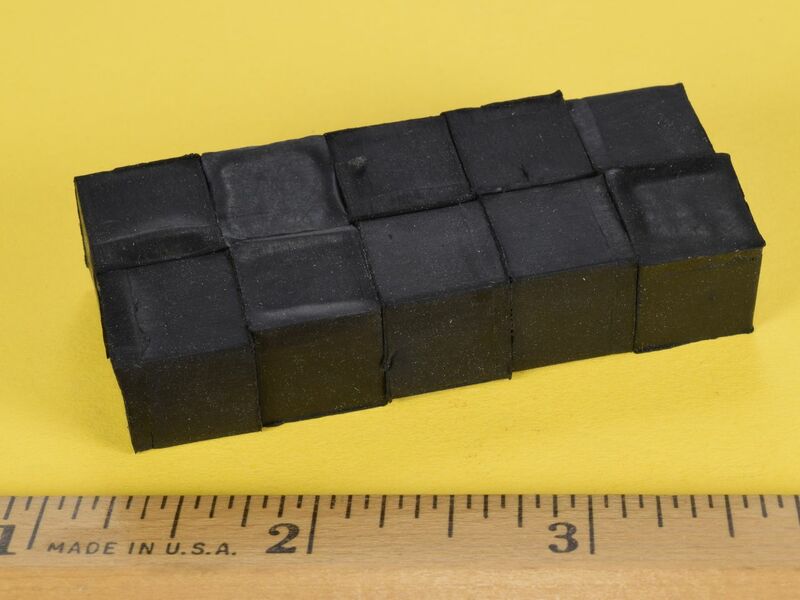 The dimensions of these cubes are the outer dimensions of the rubber coating.